Click Spring if you want the 2019 Spring Conference page. The 2019 BSB Autumn Conference will again be held at the Heythrop Park Hotel & Resort, Enstone, Oxfordshire on Wednesday 16th October, AGM and Conference Dinner, and Thursday 17h October for the Conference Presentations. Information on the topics and conference speakers will be available later in the year. 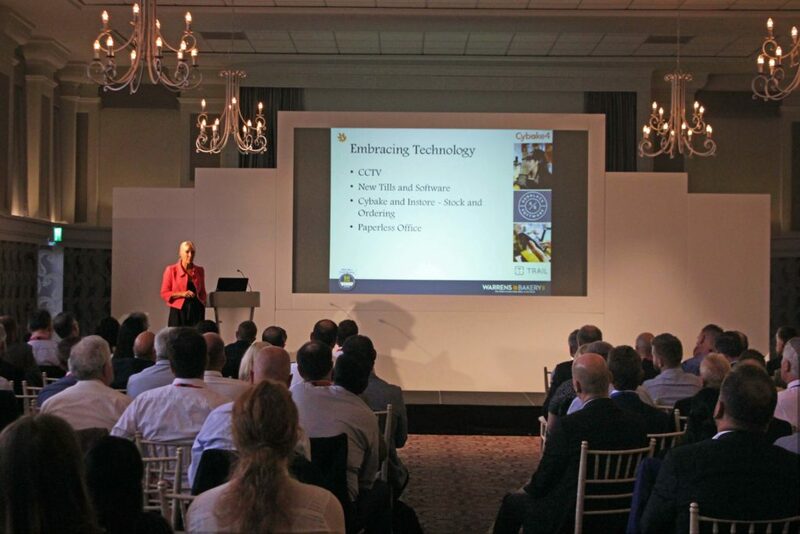 The 2018 Autumn Conference was held on the 17th and 18th October at the new venue of the Heythrop Park Hotel & Resort, Enstone, Oxfordshire, and was very successful indeed. Eighty five delegates enjoyed a superb conference dinner on the Wednesday evening, which included entertainment from magician Mark Smith. A total of 128 delegates attended the conference presentations on the Thursday, which were very highly praised, being regarded as one of the best programme of speakers we have had for a long time. The facilities at the hotel were also excellent for the pre-dinner drinks, the conference dinner and for the conference presentations. The list of topics and speakers are given below. Click on the title of a presentation to download a PDF copy of its PowerPoint Presentation. Unfortunately this does not include the Presentation by Robert Potts of Greencore. For commercial reasons Greencore have asked us not to put Robert’s PowerPoint Presentation on our website, or pass copies of it on to anyone. However we will be able to include slides from his PowerPoint presentation in our conference proceedings booklet. Stuart Spencer-Calnan who took delegates through a highly innovative total product relaunch, which included new branding, new packaging, new products – a pioneering ‘off-the-wall’ strategy, which included a very imaginative marketing programme. The whole venture was, and continues to be, very successful. Leading bakery technical innovator and scientist, Stan Cauvain of BakeTran, tackled three important issues: Improving process efficiency and reducing energy costs in bread production; making bakery products ‘healthier’; and developing employees’ scientific, technical and production skills. Importantly, he said BakeTran had discovered that raising ‘average’ dough temperature by 1% and using the right processing methods, could save 1% of baking fuel costs. One plant had recently saved £100,000 in a year. We were pleased to give Chris Malic of Bread Ahead 20 minutes at the conference to present their plans for a bakery academy, which they hope to open in 2019. Chris’s PowerPoint presentation included a video message from Bread Ahead founder Matt Jones. The aim of the academy is to produce more bakers with the craft skills and knowledge required to produce quality bread and other bakery products. Courses will include 12 weeks of theory and practical experience in producing bread, Viennoiseries and pastry products. This will be followed by work placements in artisan, retail and plant bakeries. Lin Carson, founder of the free-to-use website BAKERpedia, spoke about the role of digital media in bakery, which can be used for marketing purposes, recipes, NPD, and sharing and solving technical problems. Robert Potts gave an overview of Greencore – who they are and what they do. He then set the market context for Food to Go – which he said is a market full of opportunity! He discussed what consumers are looking for in Food to Go and spoke about how to win a higher share of the market. Lastly, he spoke about how the baking industry can support market growth in Food to Go and benefit from the sales opportunities this produces. *For commercial reasons Greencore have asked us not to put Robert’s PowerPoint Presentation on our website, or pass copies of it on to anyone. However we will be able to include his presentation in our conference proceedings booklet. Greencore has a big presence in Food to Go and Robert covered that as well as discussing the dynamics of the Food to Go market, what consumers look for and on how to deliver future growth in this hugely demanding market. Jessica Dalton and Megan Roberts, degree students at UCB, have won plaudits as Rising Stars at the Baking Industry Awards. In a joint presentation they revealed their different bakery experiences, how they attained scholarships and how they have followed their own bakery agendas with real drive and enthusiasm. They made suggestions too as to how industry can help hard-working students by providing work experience, masterclasses, internships, industry visits and financial support. Matthew Verity took a close look at the key trends impacting bakery. He told delegates that UK bread sales are up 4.7% but over 5 years the bakery category has only increased 1.4%. This is opposed to grocery, which has grown by 6%. He said that: ‘Healthy’ and seeded products are doing well; smaller packs are becoming more popular; NPD is vital for bakery manufacturers; as is supporting the retailer with a clear online strategy. Alex explained the rapid growth and success of Warrens Bakery in the last five years, attributing it to: a completely new mindset; rebranding; retraining, embracing the latest technology for an almost paperless office; as well as NPD, flexible formats, and in particular, franchising.